New InlandFieldhouse.com correspondent Harvey Cohen (@coleslawharvey) is covering the Oxnard Rio Mesa-Yucaipa CIF-Southern Section Division 2 2nd Round playoff baseball game today, Tuesday, May 24, 2016, for the Yucaipa News Mirror/(newsmirror.net). First pitch is set for 3:15 p.m. at Yucaipa (Calif.) High School. Rio Mesa (19-7 overall, 11-1 Pacific View champions) defeated Cerritos, 8-2, in 1st round for ninth straight victory. Coach David Soliz’ team has wins this season over Ventura St. Bonaventure and Camarillo. Jacob Flores got the win against Cerritos, went 3-for-4, HR, 3 RBI. Flores owns 8-2 record, 0.78 ERA in 59 innings has 77 k’s, walking 29. In CIF opener, catcher Jacob Castro 2-for-3, HR, 2B. Now batting .362, 3 HRs. Brandon Townley went final three scoreless innings for fourth save. Number-2 starter Brent Jacques, 6-2, 2.15 ERA, 45 innngs. Team batting average .290. Team ERA 2.07. Has stolen 29 in 46 attempts. Has struck out only 66 times with 79 walks. Senior David Daft leads team with .382 batting average. Team comprised mainly of underclassmen. Yucaipa (20-9 overall, 10-4 Citrus Belt No. 3) defeated Simi Valley, 8-7 (8 innings), in CIF opener. Coach Jeff Stout’s team has defeated three of top eight teams in Division 2 this season, including No. 1 La Verne Bonita. Thunderbirds have been in 14, one-run games. Team batting average .306. Team ERA 1.86. Committed only 40 errors. Freshmen Joseph Lomeli (shortstop) and Tyson Heaton (0.68 ERA) have compensated for three starting lefty pitchers who left the team. Tristen Macias drove in game winning run in 8th at Simi Valley and hurled two scoreless innings for the win. Macias went 3-for-5 with 2 RBI. Jacob Barnes HR in opener, raises average to .400. Devin Perez has been at .370 all season, with 33 hits, 25 RBI. Tyler Van Marter at .309, with 25 hits. Has compiled 5-1 mark and 1.65 ERA. Cody Stevens best fielding first baseman in region with 150 chances, no errors. Has pitched 50 innings, 6-3, 3.20 ERA. 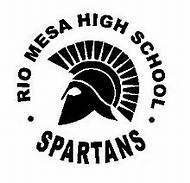 Rio Mesa has the advantage at the No. 1 and No. 2 pitchers. Either Flores and Jacques rate higher that Yucaipa’s probable starters Heaton, Van Marter or Stevens. Rio Mesa puts the ball in play better but has been hampered by errors. Yucaipa has the advantage if it can force extra innings. Yucaipa has made poor base running decisions.